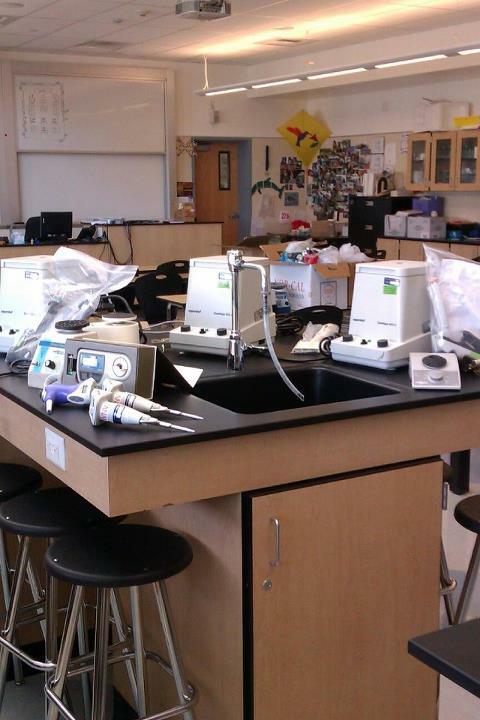 Dublin High School’s Science Department recently received an estimated $72,000 of used scientific equipment and supplies from Roche Molecular Systems of Pleasanton. This generous donation of lab equipment and supplies has provided vital support that Dublin High School needs to keep its science courses up-to-date with current scientific protocols. Among the equipment donated included micro centrifuges, graduated cylinders, micropipettes and more. “Our biotechnology and AP science programs are growing at a fantastic rate. Roche’s support enables us to provide key hands on experiences to our students with advanced equipment. Having enough of the right equipment allows each student to participate actively in current experiments, gaining crucial knowledge that will help prepare our students for a future in science.” – Janet Kaehms, Science Teacher, Dublin High School. Dublin High School values Roche’s support of the Dublin community and its students. With 130 students scheduled to take Introduction to Biotechnology, 65 in AP Biology, and, 60 in AP Chemistry the donation will be well used this year and for many years to come.